There are many countries in the world that offer midnight enjoyments for the tourists. When going traveling, tourists all want to make sure that they use their time well. Every minute will count when travelers go on vacations. Therefore, some tourists want to spend a night with a priceless enjoyment. In a city tour, nightclub, night market, cafes, and street food tours will be a good idea to spend the night. People can even enjoy a wonderful night only by walking. That is super romantic. Bali Ijen Bromo Yogyakarta is a super romantic way to enjoy a hiking tour. Bromo Ijen Crater tour will give people opportunities to enjoy midnight times to climb up the stairs or hike to the View Points and enjoy the sunrise. Bromo Ijen tour package is tailored for those who are craving for amazing journey in tropical spots. Mount Bromo Ijen crater tour is a great journey that will give tourists great chance to capture gorgeous photos. There are many spots that will look pretty in pictures. The tourists can start from the stairs. After that, they can capture pictures with the smoking crater background. The sunrise moments will look amazing as well. Tourists can take pictures while riding the horses too. The Batok Mount background will make it dramatic. Horse riding might be ordinary for some tourist. Even so, it will be extraordinary with a background that gorgeous. Additionally, the caldera of Bromo is also beautiful. And it is so much irresistible to capture some pictures around the hills in the savanna. The facility around Bromo and the viewpoints are good enough. They are not so luxurious, but the travelers can still feel comfortable with the toilet, rest area, and a praying facility for Moslems. For those who are not ready with warm clothes, they are some shops for renting warm jackets. When the sunrise comes up from the east, the view is totally impressive. The sky will look fantastic with tangerine colors. The blue sky and the signature scenery of clouds on the peak of Bromo make the atmosphere truly dazzling. Ijen Package tour without Bromo itinerary is also available. 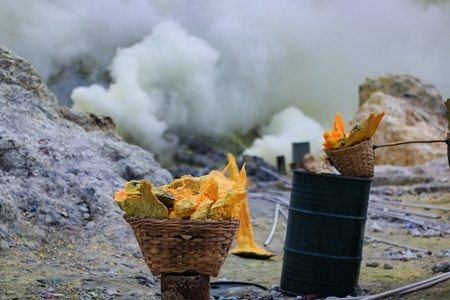 Tourists can promptly go to Ijen in Bondowoso from their arrival point. The rate is affordable for this exclusive tour. Bromo Ijen Tour with a complete itinerary is offered at an inexpensive rate. Ijen will give another fabulous experience for both local and international travelers. The trekking route is short, but the scenery is totally breathtaking. Tourists can take some pictures by the turquoise lake on the crater of Ijen. The landscape is gorgeous as well. Bali Ijen Bromo Yogyakarta is not a simply city tour. It will be an unforgettable tropical landscape tour. There are actually several View Points to visit for enjoying the sunrise. Tourists can pick the viewpoint with stairs if they want to experience the thrilling moment of going up the stairs. They can take some pictures while stepping up the stairs. The view is gorgeous. Besides, there is also a viewpoint to reach with 4 WD cars. In addition, there is a viewpoint to reach with a car only for a halfway. This one is a perfect choice for people who want to enjoy a moment with soft hiking. A trip to Bali Ijen Bromo Yogyakarta is an economical budget. Additionally, travelers can consider a more reduced rate with Open Trip Bromo. Besides, it is more convenient to go with many people. Collectively, tourists can hop in the 4WD and jeeps to the caldera and savanna of Bromo. The roads are very bumpy but it is one of the dramatic parts of this tour. Each place will leave a deep memory. The exotic package can truly bring satisfaction for travelers. Bromo tours and some added destinations will leave a vivid impression on the heart. Besides, people can also join the exotic rites and ceremony when the schedule permits. The Bali Ijen Bromo Yogyakarta packages are arranged for various holiday spans. In order to get the complete packages, it is more efficient for travelers to consult the professional tour and travel service online. Click the trvel agent now. Bromo Ijen Crater Tour from Bali: Why It’s Worth Exploring?